It’s true this government is driving people to take out loans with unscrupulous money lenders and pay day loan companies such as Wonga etc. I live on a council estate and there are always money lenders putting leaflets through doors or knocking on doors. People are so desperate for loans to buy basic things and white goods if they break down. Long gone are the days when you could ask the DWP for a loan and local authorities have had their funds cut so drastically that they can’t offer a white good service either. Now this leaves people in a desperate situation. Let’s say their fridge or cooker breaks down. They need a replacement but they don’t have the ready cash to buy one to hand. This is when companies like Brighthouse and Perfect Home seem so attractive. They offer white goods, settees and televisions at what seem like reasonable weekly repayments. But these repayments quickly mount up. The staff persuade you that you can afford more than you can. The debt soon becomes out of control and before they know it more or less all of your money is being given to these unscrupulous companies. 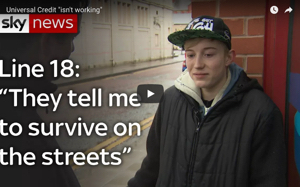 Desperation sets in and vulnerable people can often take desperate action. Suicides, attempted suicide can occur because they can see no way out. 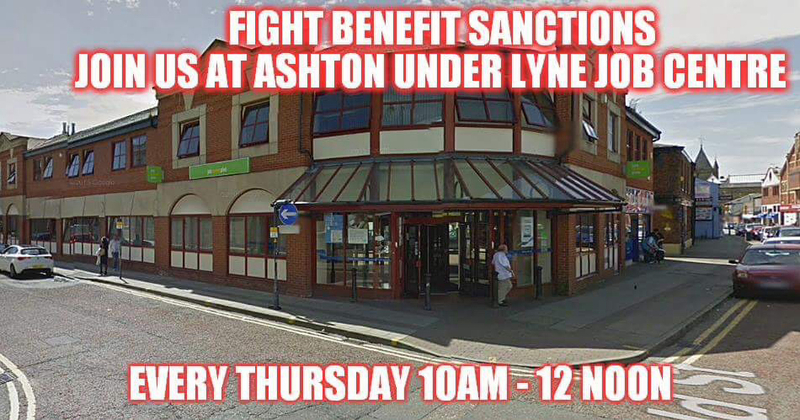 They are hounded daily by companies such as Brighthouse and Wonga. It’s a horrible feeling. There’s nowhere to turn they feel. This young man had everything to look forward to in life. He wanted a new start took a loan out and didn’t realise that they would empty his bank account to take back a repayment. He was very vulnerable and the pressure was too much. Rest in peace Kane. Your death will be sadly remembered and actions to prevent this happening again will be taken. The coroner was clearly disturbed by this and he is taking this matter up. Full details can be found on the Manchester evening news website. Of course this suits the government well. These companies are often owned by tax dodging bosses and they also take the pressure of this government. It’s a win win situation for them. So what if someone commits suicide. They don’t care we are just a number to them. I apologise for not updating my blog lately. My life has been very stressful lately and my daughter is in hospital fighting a tumour behind her eye. Because of this I have seen the best and the worst of treatment offered by the NHS. I’ve seen how drastically underfunded they are and how much a struggle it is for the nurses and doctors. Please support the NHS it is the backbone of this country and we need to fight to save what is left of our NHS. Donations towards my blog are most gratefully received. Writing this blog takes time away from my paid work but it is important that I keep blogging. Sorry to hear about your stress and your daughter. Just a heartbreaking happening and morally very wrong. 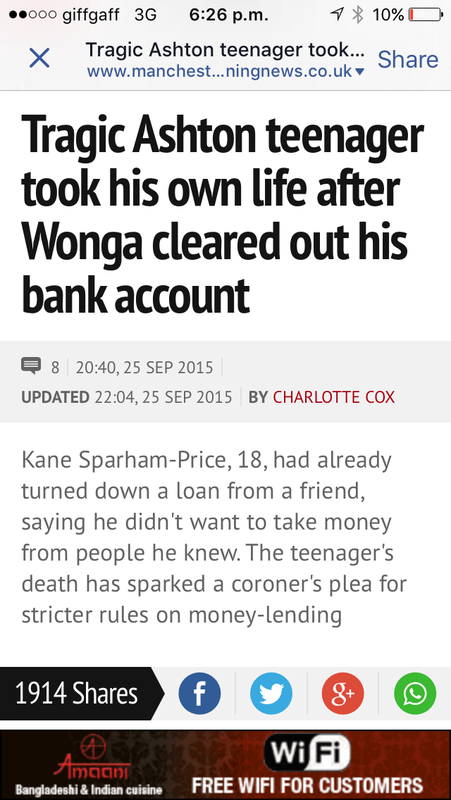 Wonga is the worst payday loans company, the are crafty and they change the rules all the time. I know because I’ve been that desperate too, thankfully I was able to pay them back after defaulting twice. They pressure you and make it stressful, it’s horrible. Regarding Wonga, and other pay day loans, I find this link most illuminating. Adrian Beacroft – he of the report that wants to strip workers of their rights – is a tory doner AND major shareholder of wonga. I wonder if the three are related?? ?